On top of this months selection of 6 beers we had the option to add any or all of 4 additional beers. Naturally I went with all four, which you'll find out more about as this review continues... Having 10 beers to review instead of the usual 6 I better get cracking now, as usual enjoy and let me know your thoughts. 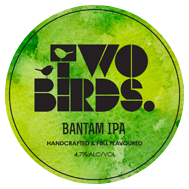 First beer in this bumper Bear Club was Two Birds' Bantam IPA. It's the third addition to their permanent range and was pretty good. It clocks in at 4.7%, so is very much in that session IPA category. I was very impressed with the pour, perfectly clear - looked alot like Hop Zombie actually... The flavour and aroma was full of fruity hops, it's a beer that I'd certainly be keen to have again. Exit Brewing's fourth offering was the next beer from the Bear Club that I got into. #004 is an IPA, and a really good one at that. The base is quite strong on caramel malts but the hops are the stars with grapefruit and pine the most forward. It's got a lovely resinous mouthfeel, which really made you want more! Next up; Thornbridge Imperial Raspberry Stout, yes that's right - Raspberry Stout! This was one of the optional additional beers and one that came highly recommended, by me. It pours like your typical stout, dark and with a tan head. The aroma and flavour is where things become a little different... There is a strong tart raspberry flavour that accompanies roast and dark chocolate! I love this beer, although it is certainly one for the more adventurous beer drinker. Beer 4 was a revisit to a GABS beer; Bright's Battle of the Bulge. At GABS I thought is was lacking enough hop bite to be called a Belgian IPA - although on this revisit that has certainly been put to rest. Certainly there is still a big malt backbone and plenty of Belgian yeast, but now it's got a big citrusy hop kick which really takes this beer up an extra notch. Get on this beer if you come across it! Another GABS beer was next up in my bumper 10-pack Bear Club this month and it was none other than the People's Choice winner; La Sirene's Praline. This beer I didn't rate from my slightly flat offering at GABS, but this offering was simply superb! Check out my full review here. Dennis Beer Company's Planet of the Hops has been termed a "Quad IPA". This beer clocks in at a mammoth 11.9%, but you wouldn't know it! This beer is incredibly well balanced with plenty of fruit flavours coming through in the hops along with good bitterness. It's amazing how well the ABV is hidden in this beer, it's seriously dangerous! 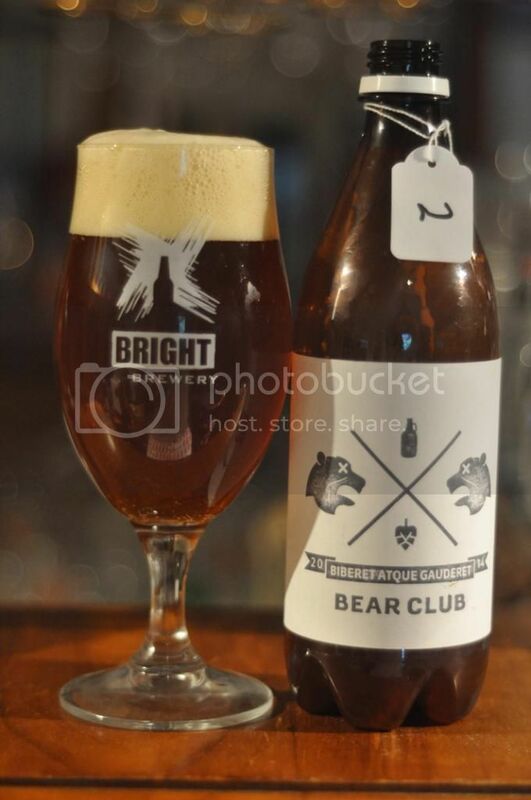 Exit Brewing makes it's second appearance in this months Bear Club with their first ever beer; #001 a Saison. There's not many brewers who are gutsy enough to launch their brand with a Saison, and even less who are good enough to pull it off! These guys seriously know how to brew! The Saison is an under brewed styled in Australia, but hopefully this slightly more accessible one takes off and people begin appreciating the style more. A big pre- AFL Grand Final week and being sick for most of this week put these beers back a bit, but damn they were worth the wait. Wednesday was stout night for me and first up I cracked into MoonDog's annual Black Lung release. This year is number 4 and it was aged in virgin American Oak barrels. It was quite smokey but the real winner for me was how peaty it was! It's worthy to sit alongside the other 3 great Black Lung beers. Try out any of these if you find them! Forrest Brewing's Block Splitter was the last stout to get a run in this Bear Club pack. I've had a couple of their beers before and never been blown away. This stout had a really interesting butterscotch flavour, which I've heard a few people also picked up and were wondering if it was an infection. That thought never crossed my mind though, it was so smooth and creamy that if it was an infection it was the most perfect thing that could have happened to this beer. I'd buy it again. 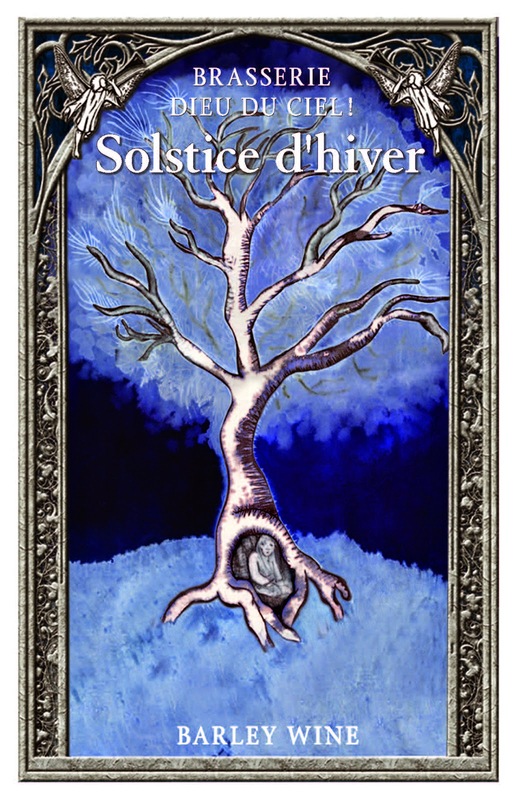 Last but not least, Dieu du Ciel's Solstice d'Hiver. Barleywines are a style I didn't use to understand at all, I always mean to try more but it seems to always never happen. So I was very pleased to find one in this months pack! I'm going to have to make good on my promise I think as I loved this beer! It was a veritable melting pot of flavours; with dark fruits, caramel malts, hops, chocolate and many more all getting a run. With all those distinct flavours it was amazingly well balanced! August's Bear Club was a run away success. The pick of the bunch for me was the Thornbridge Raspberry Stout, with Praline a very close second. It was great to see heaps of Aussie beers make it this time around and I'm definitely looking forward to seeing more in next months pack. As the weather is warming up here I'm predicting some lighter stuff, maybe a sour if we're lucky - in short I can't wait!